A EMPRESA VANDERLEI PENHA SEGAMARCHI , COM NOME DE FANTASIA , DISMÁQUINAS - AUTOMAÇÃO COMERCIAL-ME É UMA EMPRESA COM MAIS DE 30 ANOS NO MERCADO DA AUTOMAÇÃO COMERCIAL QUE TRABALHA COM VENDAS E ASSISTÊNCIA TÉCNICA DE SAT FISCAL, IMPRESSORAS MATRICIAIS E TÉRMICAS , NÃO FISCAIS , TRABALHANDO , TAMBÉM , COM MICRO TERMINAIS E MICRO COMPUTADORES , IMPRESSORAS DE CUPOM E ETIQUETAS , SUPRIMENTOS PARA IMPRESSORAS , NO BREAKS E ESTABILIZADORES, GAVETEIROS , MONITORES , COLETORES DE DADOS E SOLUÇÕES INTEGRADAS DE CARTÕES DE CRÉDITO (LEITORES DE CÓDIGOS DE BARRAS , TEF) , LICENÇA DE USO DE SOFTWARE , CALCULADORAS DE MESA E REGISTRADORAS, BALANÇAS COMPUTADORAS , RELÓGIOS DE PONTO, IDEAIS PARA MAGAZINES , POSTOS DE COMBUSTÍVEIS , LANCHONETES , PIZZARIAS , FARMÁCIAS , SUPERMERCADOS , PADARIAS , RESTAURANTES , LOJAS , CONVENIÊNCIAS E COMÉRCIOS EM GERAL . ASSESSORAMOS NA IDENTIFICAÇÃO DE SOLUÇÕES PARA GERENCIAMENTO DE DADOS . VENDA DE PAINÉIS DE SENHAS COM TECLADO DIGITADOR - WYMA - SPYDER . AVISO IMPORTANTE : Á PARTIR DE 01/07/2.015 TODAS AS EMPRESAS INICIADAS APÓS ESTA DATA E IMPRESSORAS FISCAIS COM MAIS DE 05 ANOS DE UTILIZAÇÃO - OBRIGATORIEDADE DO SAT FISCAL + IMPRESSORA NÃO FISCAL TÉRMICA ! 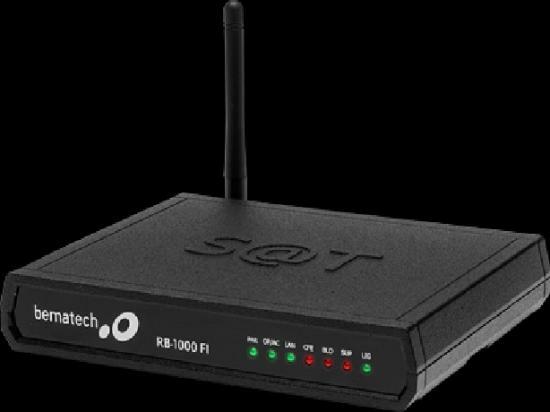 SAT FISCAL BEMATECH RB -1000 FI , FUNÇÃO PARA TRÊS CAIXAS . PREÇO Á VISTA - R$ 1.380 ,00 . EM ATÉ 04 X NO BOLETO , POR R$ 1.450,00 . EM ATÉ 10 X NOS CARTÕES , POR R$ 1.520,00 . BEMATECH - MP 4200 TH USB - IMPRESSORA NÃO FISCAL TÉRMICA - PREÇO Á VISTA - R$ 695,00 . EM ATÉ 3X NO BOLETO . EM ATÉ 10 X NOS CARTÕES POR R$ 765,00 . SOFTWARE PARA NOTA FISCAL PAULISTA - CONTROLE ELETRÔNICO - ESTOQUE E VENDA - RAPIDEZ E ALTA TECNOLOGIA - MAIS UMA SOLUÇÃO PARA SUA EMPRESA . TODOS OS PRODUTOS PARA SOLUÇÕES EM AUTOMAÇÃO COMERCIAL , EM ATÉ 10 PRESTAÇÕES , NOS CARTÕES DE CRÉDITO ; NO BOLETO (SOMENTE PARA O ESTADO DE SÃO PAULO ) , EM ATÉ 05 PRESTAÇÕES , COM ENTRADA PARA 30-60-90 DIAS ; Á VISTA , DE 05% A 08% DE DESCONTO . GARANTIA DE 12 MESES .ENTREGA IMEDIATA .PARA AUTOMAÇÃO VISUAL , VENDAS DE SISTEMAS DE SENHAS , O PAGAMENTO , NO ATO , PARA SOLUÇÕES WYMA , PARA PRODUTOS SPIDER , Á TRATAR , AMBOS COM GARANTIA DE 12 MESES , SUPORTE TÉCNICO , INSTALAMOS , NO LOCAL , SOMENTE EM SOROCABA , SP. , OUTRAS REGIÕES , FRETE INCLUSO NO PREÇO . 1. REVISÕES E ASSISTÊNCIA TÉCNICA DE IMPRESSORAS MATRICIAIS , IMPRESSORAS TÉRMICAS , IMPRESSORAS NÃO FISCAIS , RELÓGIOS DE PONTO, REGISTRADORAS , CALCULADORAS , PELOS MENORES PREÇOS , COM QUALIDADE , GARANTIA , EFICIÊNCIA E MUITA RAPIDEZ . PRESTAMOS , OS REFERIDOS SERVIÇOS , TAMBÉM , NO LOCAL , SEM ALTERAR A ROTINA DA EMPRESA CONTRATANTE. 2. INTERVENÇÕES TÉCNICAS EM IMPRESSORAS , MATRICIAIS OU TÉRMICAS , AMBAS DE 80 COLUNAS , NÃO FISCAIS , TAMBÉM , EM IMPRESSORAS DE CHEQUE ( IMPRECHEQUE BEMATECH ) , COM RAPIDEZ E COM OS MELHORES PREÇOS. FAÇA SUA PROPOSTA COMERCIAL .